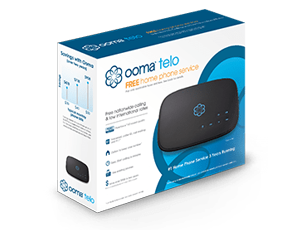 Today, we’re excited to announce several new enhancements and increased functionality for the award winning Ooma Telo. Call clarity and quality just got better with Ooma PureVoice Technology. PureVoice is comprised of advanced voice compression, a wirespeed QoS, adaptive redundancy and enhanced security algorithms to ensure excellent voice quality under the most demanding broadband conditions. Don’t just take our word for it, hear it for yourself! Listen to the differences between Ooma with PureVoice Technology and other VoIP services over on the Ooma PureVoice page: www.ooma.com/purevoice. It is our longstanding goal to provide our users with the features and functionality that save time and money. We are dedicated to building a true home smart phone experience and thank you for your support. I cannot find any positive current information one way or the other, so I’ll just ask here, where the topic is appropriate. Are the Google Voice Extensions, which according to this post are out of beta, now available to Hub users? I asked Customer Service a couple of months ago, and they said at that time that they didn’t know, and that it would not be known until GVE was out of beta. I have numerous reasons to stay with the Hub (and my multiple Scouts), only one of which is the equipment cost. It seemed from previous posts that GVE will require Premier, and I am waiting to subscribe to Premier until GVE is available. Not likely. 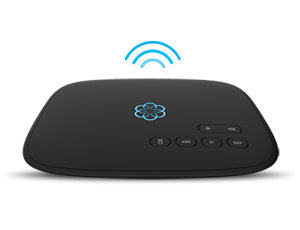 The OOMA HUB features does not list it while the newer Telo device does list it. Is OOMA hub phone service portable? Can I move it from one house to another and still could use the same phone number as long as each house has a high speed connection? Does it require Premier for basic services now and in the future? Yes, Ooma is portable. As long as you have a broadband connection, you can take this anywhere and use the same number. Basic services are not part of Premier. I?ve learn a few just right stuff here. Definitely value bookmarking for revisiting. I surprise how a lot effort you put to create this type of wonderful informative site. You actually make it seem so easy together with your presentation however I in finding this topic to be really one thing that I feel I might by no means understand. It seems too complicated and extremely broad for me. I am having a look ahead to your next post, I will try to get the dangle of it!